GTA 6: Will Rockstar Make The Sequel? When a game brings in over $1 billion in revenue in its first three days, you can bet there's going to be a sequel. Grand Theft Auto 6 seems like an obvious move for Rockstar Games but will they do it? The latest round of GTA 6 speculation was kicked off earlier this month by a BallerStatus interview with DJ Whoo Kid. Whoo Kid said that he would be appearing in the next Grand Theft Auto "that takes place in New York again." Liberty City, the fictional equivalent of New York, was the setting for GTA 3 and GTA 4. That's the only detail we've heard about GTA 6 so far, though, and it hasn't been confirmed by Rockstar yet. It's possible that DJ Whoo Kid was actually referencing a Liberty City expansion to GTA 5. Rockstar hasn't been completely mum on the subject of a full sequel, though. 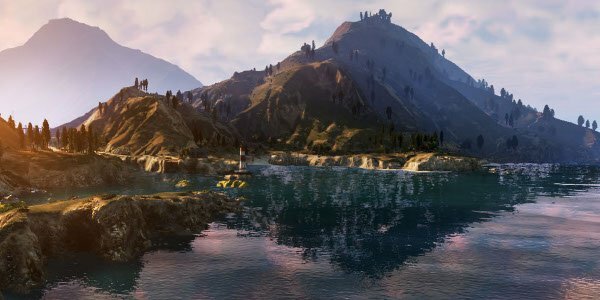 Leslie Benzies, president of GTA 5 developer Rockstar North, discussed the possibility of GTA 6 mere weeks after its predecessor launched. “We’ve got about 45 years worth of ideas we want to do. We don’t know what GTA 6 will be, but we’ve got some ideas." Benzies added, though, that their focus is now on supporting GTA 5 with DLC. They plan to add more single-player content later in 2014. The development team is also continually updating GTA Online, the multiplayer component of the game. They've introduced more missions, equipment and a toolset to GTA Online since its launch. Their future plans for GTAO include cooperative heists as well. GTA Online has proven popular with gamers. Strauss Zelnick, CEO of Rockstar parent company Take-Two, told Fox Business this week that 70% of GTA 5 players have also dived into the multiplayer. This large pool of players presents a strong revenue stream for Rockstar Games. While the DLC packs for GTA Online are free, Rockstar sells in-game currency for real-world money. "Just a few years ago when we put out a product, no matter how big, when we put out a hit we collected our money, we went onto the next," Zelnick said. "Now what we're finding is we're creating recurrent consumer spending and we have the gift that keeps on giving." The exact amount that Rockstar is earning off GTA Online is unclear. However, Take-Two revealed that half of their digital revenue from the last quarter of 2013 was from GTAO's microtransactions - in other words, tens of millions of dollars. An analyst estimated that the sale of in-game money could bring in $100 million this year. With that kind of money coming in at a regular basis, Rockstar may feel less pressure to rush out GTA 6. 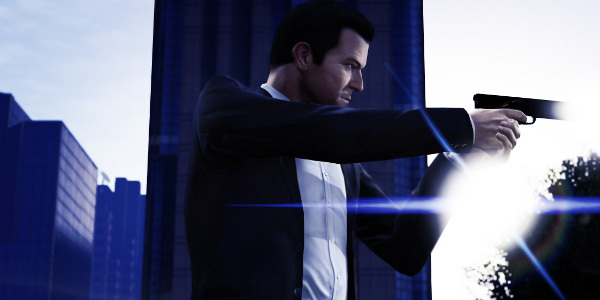 Grand Theft Auto 5 has three other potential sources of revenue: the Xbox One, PS4 and PC. Rockstar has been tight-lipped about bringing the game to these platforms, simply saying that "everything else is up for consideration." However, there has been evidence, ranging from retailer listings to LinkedIn profiles, to suggest that they're currently developing the game on PC, Xbox One and PS4. Bringing GTA V to these other platforms might not be as lucrative as the initial Xbox 360 and PS3 release. After all, the Xbox One and PS4 have much smaller user bases than their last-gen counterparts. However, as more and more players upgrade to new consoles in the coming years, a remastered version of the game with updated graphics and features may be a popular purchase. Demand for the PC version, meanwhile, was clearly demonstrated through a massive fan petition. While the PC/PS4/XB1 versions might not earn another billion for Rockstar, they could still account for substantial revenue and require much less effort on Rockstar's part than GTA 6. The point is, Rockstar has only begun to tap Grand Theft Auto 5's sales potential. This potential would actually be hurt if they made a sequel too quickly. Why buy in-game cash for GTA Online when you can buy GTA 6 instead? Why buy an Xbox One version of GTA 5 when you can get a brand-new game built from the ground up for the new generation of consoles? Rockstar has every reason to take their time with the sequel, even if GTA 6 could be another record-setting launch.